It's pretty hard to forget the phenomena that was/is Exploding Kittens. The game took over Kickstarter for quite some time and has quite a following. Well, now you don't even need those pesky cards anymore in order to play if you don't want to. 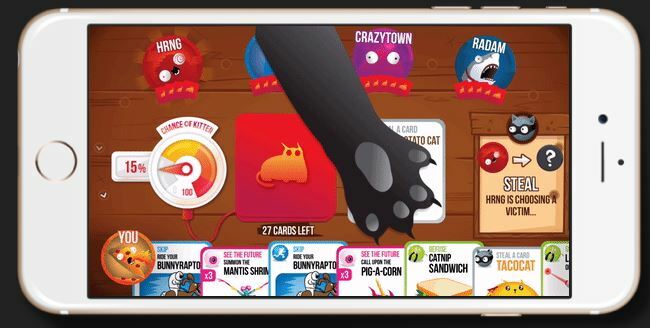 They have now made an Exploding Kittens app. The App lets you play without needing the internet or gamecenter, as is uses a combination of wi-fi and bluetooth to connect directly with others around you that are playing. So you just have to be in general close proximity of one-another. Also, for the next 3 days, all in-app purchases are free, including an expansion pack and special avatars.